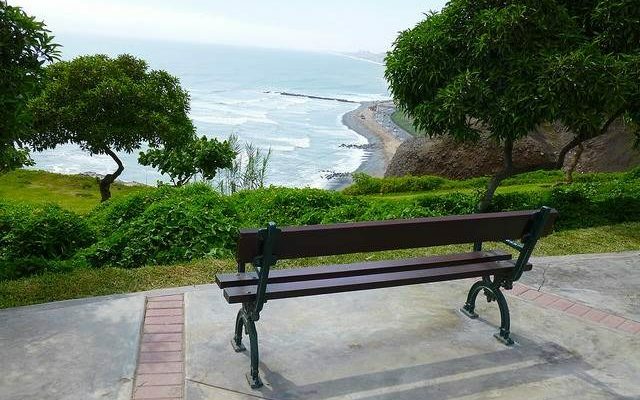 The Miraflores Malecón. It’s a place the locals flock to for fresh air and green space, where kids master the art of riding a bike on two wheels, and where tourists try to snap the perfect sunset shot. In the whole of Lima, I can say it is one of my favorite places to spend mornings wandering about and weekends people watching. But on a recent visit, I stumbled upon something completely new and different. I could hear the beat of the drums before I saw where they were coming from, which is what piqued my curiosity in the first place. So, I followed the sound until I saw something that made me stop dead in my tracks. 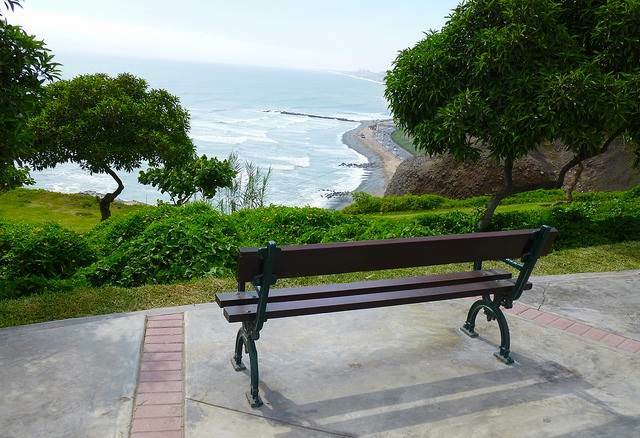 Right here in Miraflores, a district known for its posh restaurants and designer boutiques, were a group of long haired, hemp wearing, neo-hippies rhythmically pounding African drums. Dispersed among them were others who played cajónes and snare drums. Together these performers, likely from very different musical backgrounds, played without sheet music in a harmonious drum circle right on the edge of Parque María Reiche. Those who couldn’t play danced or chanted while others made what looked like offerings of fruit and incense to Pachamama. As the sun began to set, painting Lima’s sky a fiery orange, more onlookers joined, some carting their own instruments so they could participate and others with a blanket so they could comfortably watch from the edge. I spent an hour taking in these beautiful sights and majestic sounds. As I made my journey home, the music trailed off in the distance, first mixing with honking horns and combi drivers yelling “Todo Benavides…,” and eventually fading out completely. That’s when another thought crossed my mind – I love this city. This city of organized chaos where colonial buildings neighbor high-rise towers that touch the sky and where age-old tradition still welcomes new ideas with open arms. It’s a city where neo-hippies and white-collar yuppies can meet on a green patch beside an ocean-front cliff to organically produce music together. It’s a city that lets people beat to their own drum, literally and metaphorically, and I love that.